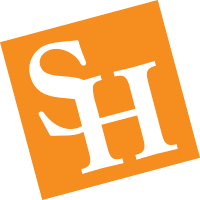 The College of Business Administration at Sam Houston State University offers challenging classes taught by highly qualified faculty. Small classes encourage an interactive and personal educational environment for our students. In addition to gaining academic knowledge, the College of Business Administration provides opportunities for students to develop their professional skills through a variety of events outside the classroom. "COBA...developing business professionals" is a program that gives students an advantage in the workplace by building soft skills identified by employers as crucial to success. The College offers the bachelor of business administration degree at the undergraduate level in eleven major fields of study: accounting, banking and financial institutions, economics, entrepreneurship, finance, general business administration, human resource management, international business, management, management information systems, and marketing. In addition, the College offers a 4.5 year degree program for qualified students leading to a BBA in General Business Administration with a specialization in PGA Golf Management. At the graduate level the College offers the Master of Business Administration, the Master of Science in Accounting and the Master of Science in Project Management. The College also offers an online Executive MBA in Banking and Financial Institutions. All COBA degree programs are accredited by AACSB International - The Association to Advance Collegiate Schools of Business.